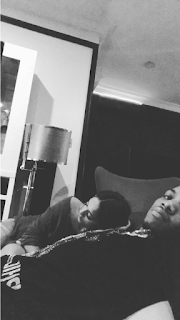 'Pana' crooner Tekno pictured with his girlfriend, Lola Rae yesterday night. She was at his music studio and they spent more personal time together after he was done making music. Looks like they are now going even more public with their romantic relationship.